Shop for Digital Stamps and Paper! I come to you this month with a CAS card. Peerless watercolors, a corner rounder and a few jewel stickers were used to create this card. A bit of very light distress ink was smudged around the cross to add a bit of shading. 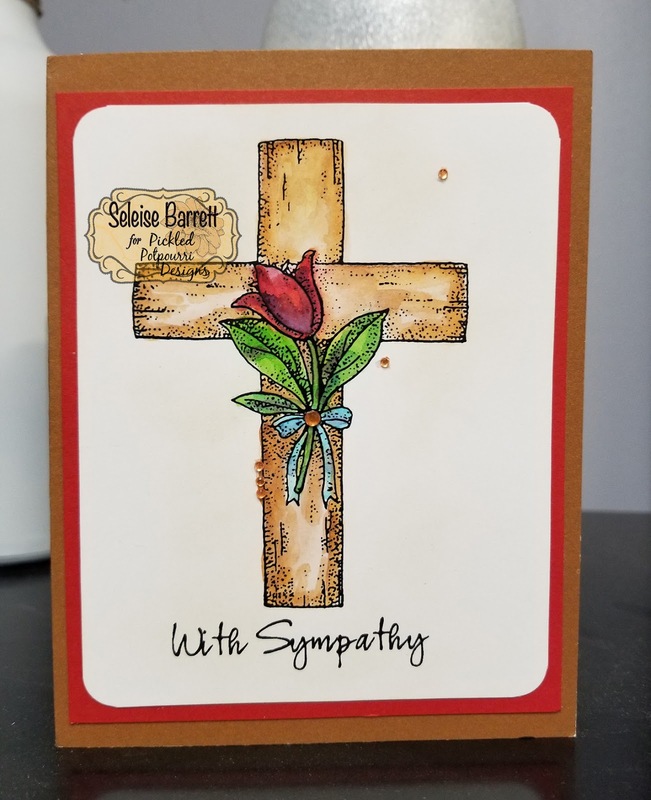 As I've mentioned before, there is always a need for Sympathy cards and when I saw this gorgeous Cross digi in the Easter section on Pickled Potpourri Designs, I knew that it would also make beautiful sympathy cards and notecards. Isn't it stunning in its simplicity?! I find it comforting and the beauty lies in the meaning of the cross so I wanted to keep the design simple. 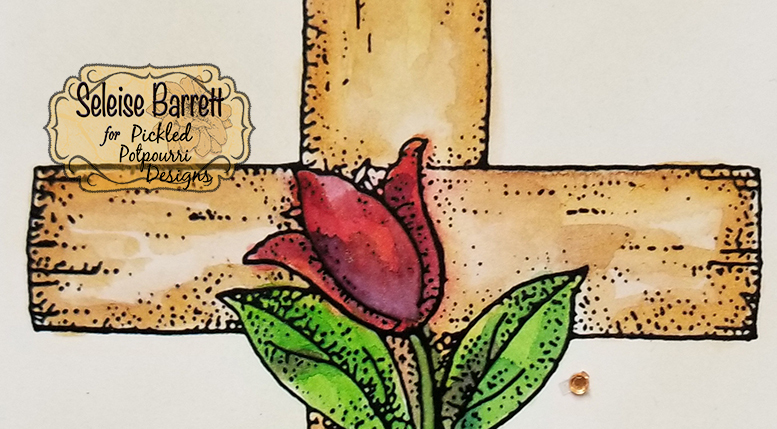 The watercolors flow across the cross and add beautiful shading and dimension. The flower too has more levels of color with watercolors. The challenge was keeping the watercolor contained on the stem but it worked pretty well with the fine tip of the water brush. I dip my water brush into a cup of water rather than squeezing water out. It works better for me for controlling the amount of water used. A paper towel is kept nearby to soak up any excess water. Watercolors make me feel like an artist in a different way from Copics. Both are great but watercolors are definitely faster for when you don't have a ton of time to color. The sentiment is from Rose Sentiments. The personality of the script font softens the straight lines of the cross and ties in well with the flower. The merging of the two digis makes for a wonderful and simple sympathy message. Thank you for popping by the Pickled Potpourri blog and look forward to seeing you next month! 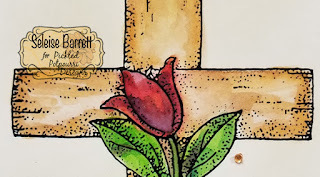 Beautiful card for believers in the cross that a hope for eternal life beyond this earthly existence is possible! The watercolor technique is fantastic and adds visual depths to the images. Well done! Thank you so much! Appreciate the sweet comment. Thank you for your comments! We love feedback!